BONITA SPRINGS, FL - October 9, 2012 - Interactyx Limited is excited to announce an important milestone. Clients of social learning management system (LMS) software, TOPYX®, have over 10 million learners who can access learning materials and collaboration tools on TOPYX every day throughout the world. Launched in 2009, TOPYX is an award-winning social LMS, software-as-a-service (SaaS) eLearning platform which engages learners and provides collaborative learning environments for businesses, associations and eCommerce needs for any size organization. Built with providing the learner with a more engaged eLearning experience as its primary goal, TOPYX incorporates social learning with a feature rich learning management system functionality. TOPYX’s popularity reflects the easy-to-use tools and intuitive interface to support peer-to-peer learning wherever the learner may be around the world. TOPYX is available in most languages as well. Another notable factor is TOPYX’s pricing model. The intention behind the attractive pricing strategy is to allow all of the client’s learners to benefit from the social learning functions within TOPYX. With TOPYX, there are no per seat or user fees so that clients of all sizes may include everyone within their organization onto the learning portal without incurring additional fees. TOPYX also provides unmetered bandwidth, allowing unfettered learning for its clients. Thus, TOPYX offers a fixed cost for unlimited learning opportunities at an attractive price point. “We believe the secret for eLearning to realize its potential is to better engage the learner. We developed TOPYX to not only be a best of breed eLearning portal in terms of incorporating social learning with a full featured LMS, but wanted to create a compelling value proposition so that the entire client’s organization can benefit from the TOPYX platform. Because of TOPYX's unique offering of unlimited users and usage for a low subscription fee, it has allowed many of our clients to provide award-winning social learning features to all of their employees or members without the prohibitive costs for licenses or seats that is commonplace in the industry. We believe in social learning, and believe in the benefits of being able to learn from each other, while delivering an outstanding ROI," stated Alfred R. Novas, Chief Executive Officer of Interactyx Limited. TOPYX social LMS software was recently voted 2012’s Best Social Learning Solution by Elearning! Media Group; TOPYX is a Best of Elearning! award-winner for the fourth consecutive year. TOPYX was also recognized by the Southwest Florida Regional Technology Partnership as the winner of the fourth annual technology awards for innovation. Other recent awards include: Brandon Hall Group’s acknowledgment of multi-gold medal awards winner for Excellence in Technology and named byChief Learning Officer magazine one of the top LMSs to watch. Interactyx Limited is a global eLearning software company providing engaging and interactive learning experiences to learners, businesses and associations and nonprofit organizations of any size. Since 1995, Interactyx has worked with educational programs to develop engaging learning management solutions. 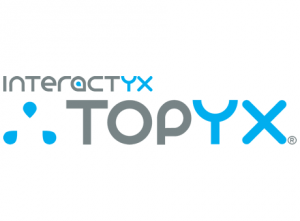 Interactyx, the developer of TOPYX, is at the forefront of developing eLearning and social learning management system solutions that engage learners and enhance collaborative learning environments. TOPYX has gained acceptance as an innovative, affordable solution to deliver a complete eLearning software solution meeting the needs of today's learner that is the best value in social LMS software.